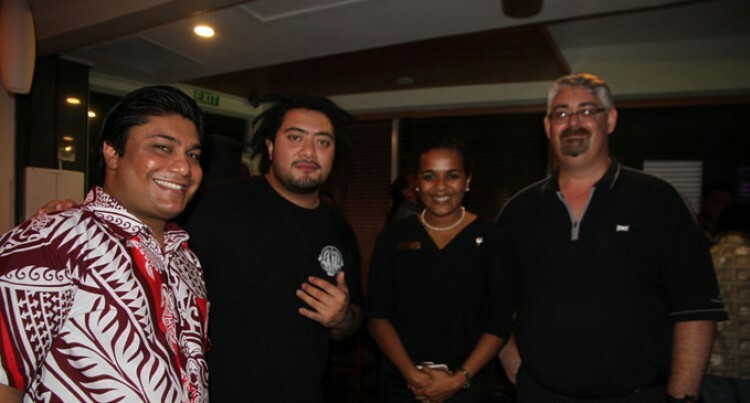 It was a joyful occasion on Friday evening as the Tanoa Hotel Group held its annual appreciation night and corporate cocktail for customers, clients and suppliers at the Tanoa Plaza Hotel in Suva. The group also treated their guests to the Common Kings and Makare musical groups. Tanoa Hotel Group has been in operations for more than 40 years. The family-owned and operated business has grown over the years and expanded to the South Pacific with hotels in Samoa and New Zealand. The Group believes that growth and expansion of their business is purely based on the hard work invested from their staff, costumers, partners and clients. The Tanoa Plaza Hotel is the first hotel in Suva to be awarded the AON Fiji Excellence in Tourism Award. The group passionately believes in giving back to the society at large and does so with any opportunity that presents itself. Chairman and founder of the Reddy Group and the Tanoa Hotel Group, Yanktesh Permal (YP) Reddy has been involved in many charities over the years. The Tanoa Hotel Group in just one year has made various developments and investments into the growth and expansion of the business. The Tanoa Waterfront Hotel in Lautoka has constructed new rooms and refurbishment to the hotel. The hotel has increased its inventory by adding 20 new executive rooms. The Group has also invested into the refurbishment of 46 existing rooms at the Waterfront Hotel in Lautoka. The Tanoa Rakiraki Hotel has also refurbished the standard rooms and converted them into 12 new executive rooms.